It may be a relaxing sleepy August and vacation season for some in the Mile Square City, but the four major campaigns are ramping up their energies to engage Hoboken voters whether they like it or not. 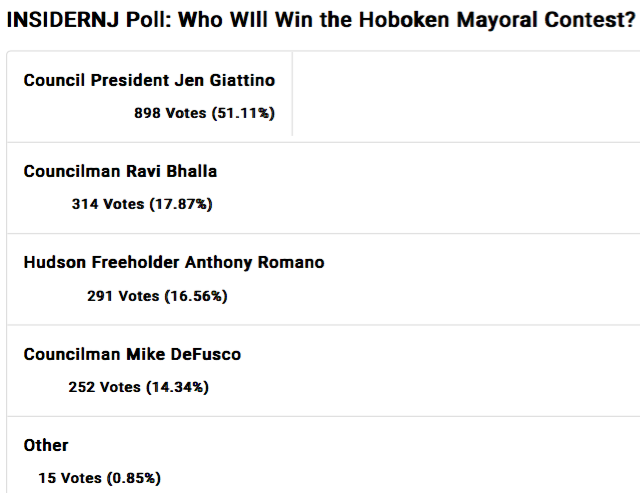 Yesterday, INSIDERNJ featured a poll asking not who you support but who will win the Hoboken November mayoral race. MSV took a snapshot of the unscientific poll mid afternoon and it showed Council President Jen Giattino in a commanding lead as the other three major candidates slugged it out in a tight race for second through fourth. Positions remained the same most of the day. Frustration surfaced when diehard Bhalla backer GA voiced the poll is problematic calling it bogus in the INSIDERNJ comments section after she voted five times to no good effect. 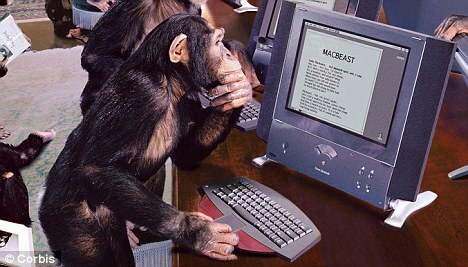 Then in the overnight hours while most of Hoboken slept, as predicted the munkey operatives (Hoss reserves the "o" version for the real animal kingdom vareity) went into overdrive producing hundreds upon hundreds of votes in the dead of night for DeFusco who surged into the lead in the early am hours. The DeFusco campaign worked hard on the INSIDERNJ poll last night. What do they think this is, a Vote by Mail operation? Speaking of VBMs, the DeFusco reign there reportedly by his peops is similarly surging equally well. They are patting each other on the back for lining up hundreds upon hundreds of those "votes" in the usual Poopfest operation over in the Hoboken Housing Authority and senior buildings. Don't you think those folks deserve a raise? After all these years the downtown rate remains $40 a pop, I mean vote, I mean per "campaigner." There may be a new sheriff in Washington but the Poopsville VBM factory isn't worried about Attorney General Jeff Sessions. Perhaps they think he has bigger problems to contend with or they are bulletproof.